In this hilarious clip of Pitchfork‘s Over/Under series, Erykah Badu rates a range of topics including Fred Flintstone (which includes a thorough breakdown of all of his issues), Aliens and her frustration over not having had any close encounters. Badu also rates Spas for Dogs, Light Up Sneakers and more. As Erykah rates each topic, she gifts us an accompanying anecdote. Ugh. We LOVE her! Never a dull moment with this lady! 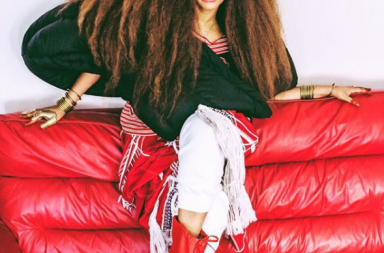 In case you missed it, check out Erykah Badu’s medley of her hit “On & On” and a cover of Fela Kuti‘s “Sorrow Tears and Blood” for The Tonight Show Starring Jimmy Fallon audience.